In an effort to determine shortcomings in the housing industry, Fannie Mae’s Economic and Strategic Research Group has conducted a study to find out exactly how much consumers understand the requirements of obtaining a mortgage loan. Previous studies have shown that saving for a down payment and credit scores are the leading obstacles consumers have in obtaining a mortgage, which prompted Fannie Mae to ask them if they really understood what the actual requirements were. 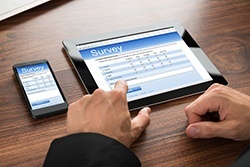 The study included asking consumers about their understanding of underwriting basics. This included credit score, LTV/down payment, and DTI requirements. What they found is that consumers over-estimated all three criteria, with about half being unable to answer when asked about requirements. The study showed that lenders are the most influential source when it comes to advice about mortgage loans. Unfortunately, many consumers start the process by searching for a home and may not speak to a lender until later in the process. If a consumer believes they will not qualify for a mortgage, they may not even begin shopping around. Educational efforts need to be more focused on the consumer groups struggling the most with knowledge of the mortgage qualification requirements. These efforts need to take place earlier in the mortgage process with professionals that come into contact with these consumers. Finally, mobile technologies need to be utilized to further these efforts due to a growing interest in their use during the home buying process. Steps taken over the last few years to increase homeownership rates may have seen limited success due to these educational gaps, but by increasing a consumer’s understanding of mortgage loan requirements, there may be an opportunity to expand access to financing without easing lending standards further.